Our company goal is to maintain the high standard of construction we have established, and provide a competent and reliable service to each and every client. We value all of our clients and strive to meet their needs with efficiency. 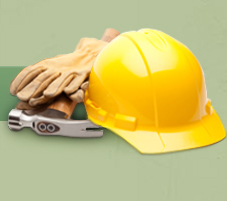 Marvin Davis Construction, Inc. provides and guarantees prompt and courteous service. It is because of our professional and quality service, we are able to offer our clients a warranty program that exceeds state requirements and industry standards. We recognize that a satisfied customer is our number one goal now and in the future.